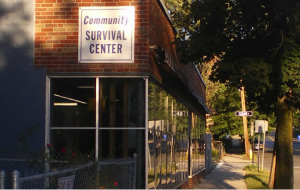 Located in Indian Orchard, the Survival Center provides emergency food, clothing, and household goods to the working poor and others in Ludlow, Indian Orchard, Sixteen Acres, Hampden, and Wilbraham. The Center runs a number of food and clothing drives throughout the year. Monthly we collect non-perishable food items for the Survival Center and in the summers we grow and collect fresh fruits and vegetables for the center. Last year this netted nearly 700 pounds of produce.